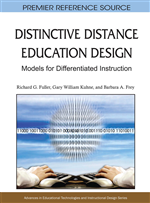 While the focus of most this book is upon the various sills involved in the task of designing effective online educational programs, many program designers are in positions where they have coordinating responsibilities for educational and training programs beyond the ones they personally design. If you find yourself in such a position, you know what it means to be responsible to oversee the delicate interplay between individual educational programs, i.e., seek to control the effects programs have on one another. In such a role you also need to be attending to the interacting variables of people, procedures, and work (Handy, 1985). In other words, although educational designers, you must also think and act like educational administrators. Most of you have probably seen situations in which the best-designed programs have failed due to administrative issues, not teaching and learning issues. Donaldson (1990) has suggested five helpful principles for effective program coordination that can help you as a program designer to begin to think like an educational administrator and more effectively provide the proper leadership to your program design effort. The Helicopter Effect: To be effective, program designers must be willing to rise above the day to day issues of designing a particular program and gain a bird’s eye view of the broader context into which their program will fit. Such non-program specific issues would include seeing the agency culture, the competing programs, and the learner context. Power and Influence: Often designers possess very limited formal power or authority in their agencies. Because they are dependent upon persons over whom they have little or no control, designers must learn to rely on influence and leverage to accomplish their goals. Management research and theory suggests that influence in organizations can be gained by three main strategies: status, expertise, and inter-personal skills. The status of a position grows as more people in an organization come to see the position as important. Designers must discover ways to communicate the value of what they do (i.e., designing educational programs) for achieving the goals of others, such as the value of well designed programs to improving the safety record of a shop or reducing the loss due to faulty skills. Expertise refers to acknowledged proficiency in valued activities. As the program designer demonstrates effective programs over time, the organization will come to value his/her expertise and tend to be more willing to be influenced by his/her recommendations and counsel. Interpersonal skills are critical to develop networks, communicate information, and manage conflicts. The more effective these skills, the more influence the program planner has within the broader organization despite limited formal authority. Uniformity and Diversity: Balancing uniformity and conformity is a crucial coordinating skill. The organization needs uniformity in procedures, policies, and processes to maintain efficiency. Yet organizations also need diversity to have the flexibility to best respond to different learners and changing needs of learners. Too much uniformity limits ability to be flexible, a critical element in developing effective and marketable programs. Too much diversity can result in inefficiency and ineffectiveness, undercutting the viability of the organization offering programs. Peoples, Systems and Procedures, and Work: Related to the previous point, program designers in their coordination efforts must learn to manage three interacting variable--people, systems and procedures, and work and structure. Recruitment of learners and staff must be integrated with procedures for teaching, evaluating, and monitoring the learning programs, which in turn must be integrated with budgets. Change at any point impacts all other points. For example, deciding to use a new delivery method such a online learning also impacts upon the staff chosen, the technologies required, the anxiety level of support staff, etc. Information Nerve Center: The program planner must learn to serve as an information nerve center. Develop your information sources and share strategically throughout your agency. This will foster support for your program and increase you value (status) within agency.